horseshoe shape that forces players to hit the high side of the hole. The trainer--which fits into any standard golf hole, such as those on the putting green--sports a 2.75-inch opening that serves as a target. The Putt Pocket forces you to hit the high side of the hole. The pocket also works as a practice hole in the home or office. When you line up a putt, simply aim for the opening rather than the hole itself. If you see the line accurately, the ball will gravitate to the high side and directly into the cup. Not only will this improve your accuracy and speed, but it will also make real holes appear much larger after a few hours of practice. 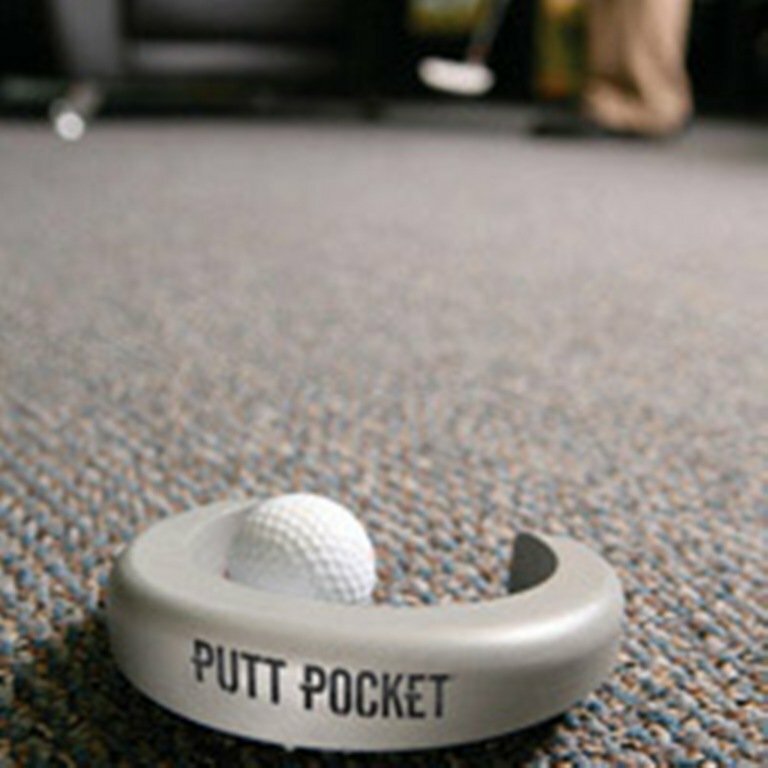 The Putt Pocket--which also functions as a practice hole for the home or office--is ideal for golfers of all skill levels. IMPACT IMPROVER Golf Swing Indoor Training Aid..Practice Golf Indoors..